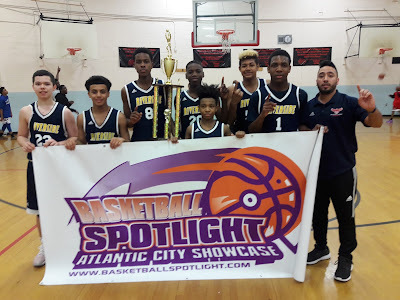 BASKETBALL SPOTLIGHT NEWS: Basketball Spotlight Atlantic City Showcase 7th Grade Orange Division Championship Recap: Riverside Hawks Wins Thriller! 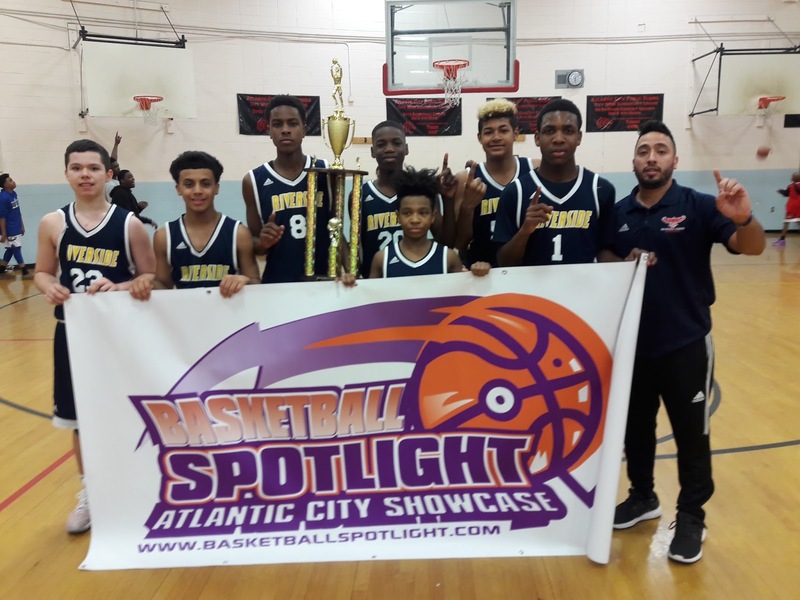 Basketball Spotlight Atlantic City Showcase 7th Grade Orange Division Championship Recap: Riverside Hawks Wins Thriller! Riverside scored a bucket in the final seconds to defeat East Coast Elite 46-45 to win the Basketball Spotlight Atlantic City Showcase 7th Grade Orange Division Championship. Congrats to both teams for making it to the finals. Stay tuned as we bring you more coverage from this event.